A billion dollars isn't cool. You know what's cool? A trillion dollars. The long race to see which U.S. tech giant will become the first company worth $1 trillion is finally over. 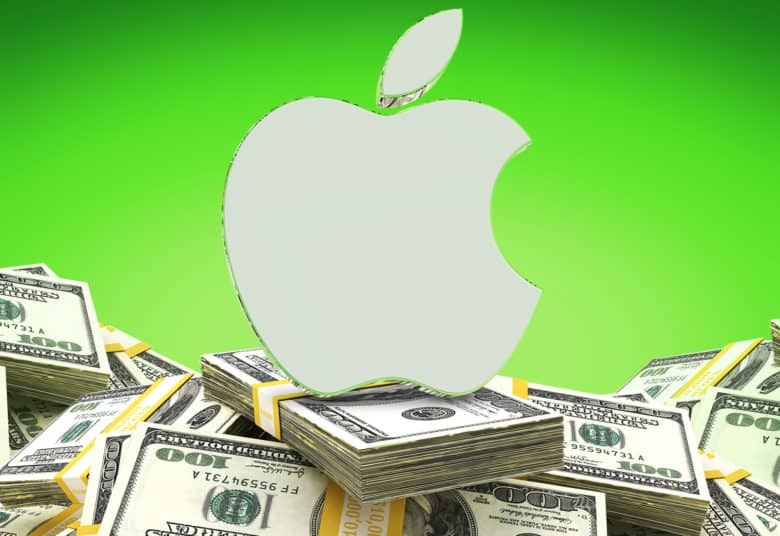 This morning, Apple shares surged past the $207.05, putting the company’s market cap at an astounding $1 trillion. The stock price bounced around a bit throughout the day, but ended at $207.39, affirming Apple’s trillion-dollar crown. Amazon threatened to beat the iPhone-maker to the coveted trillion-dollar valuation, but its shares have been trending down the last week. The online retailer’s valuation currently sits at $873.52 billion. Apple’s own Stocks app, powered by Yahoo Finance, actually jumped the gun somewhat, reporting the news early. That’s because it failed to take into account an updated share count that meant AAPL needed to pass $207.05 to officially qualify for the $1 trillion mark. The reason for the confusion? Apple is in the midst of a stock buyback program, meaning that some sources listed the wrong number of outstanding shares. Apple’s stock price has been aided by its better-than-expected Q3 2018 earnings report. Revenue for the quarter beat Wall Street’s expectations, coming in at $53.3 billion. iPhone sales remained strong during the quarter at 41.3 million units. Most importantly to investors, the ASP (average selling price) of iPhones continued to remain high. Most analysts expected the ASP to come in around $699, but it hit $724, thanks to the super-popular (and high-priced) iPhone X. With its 2018 iPhone lineup slated for release this fall, Apple is expecting to have a huge Q4, too. Cupertino set revenue guidance for the fourth quarter between $60 billion and $62 billion, which would be an all-time high if the company hits its mark. That sound you hear in the distance? It’s champagne corks popping in Cupertino! Editor’s note: This post has been updated to show Apple’s stock price at the market’s close.